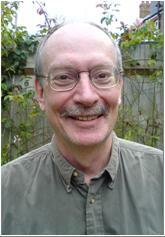 Tony Freeth did a BA in pure mathematics and post-graduate degree (Part III of the Maths Tripos) at Cambridge University. Then at Bristol University he completed an MSc in Mathematical Logic (with commendation) and a PhD in Set Theory. He subsequently trained in film-making at the National Film & Television School in the UK and has spent 25 years as a freelance producer/director working in television and independent production. An award-winning film-maker, he also co-founded two independent production companies, Riverfront Pictures and Images First. He has worked for Thames Television, the BBC and Channel Four and his films have been shown internationally on channels such as Discovery. For international distribution he has also produced and directed a series on agricultural development in Sub-Saharan Africa, featuring the ideas of agricultural scientist, Dr Norman Borlaug, who won the Nobel Peace Prize in 1970. During 2000 he was inspired by Mike Edmunds to research and develop a film project about the Antikythera Mechanism. In doing this, he realized that much of the classic academic work on the Mechanism is wrong. This led to two research papers in Mediterranean Archaeology & Archaeometry. The first of these challenged the classic research on the Mechanism and proposed new investigations using the latest cutting-edge technologies of microfocus X-ray and digital imaging. Mike Edmunds initiative on the Antikythera Mechanism led to the formation of a new research team that became known as the Antikythera Mechanism Research Project (AMRP). After a four-year struggle, the AMRP got permission to carry out the investigations that Tony Freeth had proposed. In the autumn of 2005, Hewlett-Packard (USA) took a team led by Tom Malzbender to carry out digital surface investigations of the Mechanism using Polynomial Texture Mapping (PTM). Another team from X-Tek Systems (UK), led by Roger Hadland, carried out microfocus X-ray computed tomography (CT) on the fragments to get the crucial 3-D X-ray information. Together with his colleagues from the AMRP, Tony Freeth has been analyzing this rich data set ever since. The first results of this work were published in Nature in 2006 – Freeth et al. Decoding the ancient Greek astronomical calculator known as the Antikythera Mechanism. The AMRP organized a conference in Athens in 2006 to coincide with this publication. One aim of this conference was to extend the research team—particularly in the area of the history of ancient astronomy where our expertise was lacking. A collaboration with two distinguished historians of astronomy, Professor Alexander Jones and Dr John M. Steele, was one very positive result. A new paper in Nature was published on July 31st 2008 with co-authors, Tony Freeth, Alexander Jones, John M. Steele and Yanis Bitsakis. Tony Freeth now plans to return to the film project, through his film and TV production company, Images First Ltd. With superb documentary footage of the scientific investigations, beautiful images from the research data and an animated computer model of the Mechanism, the project still awaits commissioning. In the longer term, there are so many unresolved and fascinating questions about the Mechanism that still remain. Together with his colleagues, Tony Freeth aims to tackle these problems over the next few years.